Need Upholstery Cleaning Sunshine? Don’t clean your couch before calling us. Sunshine’s best couch cleaning, lounge cleaning, sofa cleaning, leather & fabric upholstery steam cleaning & Scotchgard protection services. Call 0428 784 299 to book same day couch cleaners anywhere in Sunshine. Our standard upholstery steam cleaning service is the most cost-effective. We offer upholstery cleaning services straight your door anywhere in Sunshine weather you are eastern suburbs, western suburbs, southern or northern suburbs. Following included in our lounge cleaning services. We are the upholstery cleaning specialists of Sunshine! Our clients have loved Master Cleaners for more than two decades now and their unshakeable trust in our services motivates us further to provide veracious cleaning services. Master Cleaners Sunshine offer the best services for leather couch cleaning at the most reasonable prices. However, it is not very difficult to maintain leather upholstery, regular dusting is usually enough to maintain your couches. However, the stains on the couches can deteriorate its look. Trying to remove stains on your own can ruin the shine of leather, that’s why it is better you hire the professionals for leather couch cleaning. 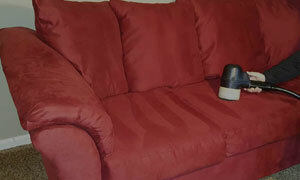 Besides leather couch stain removal, our experts also offer leather conditioning services. Master Cleaners Sunshine also offer fabric couch cleaning services at an affordable price. The professionals of our team have got lots of experience that helps them deliver the best results for fabric sofa cleaning. The professionals of our team possess advanced cleaning tools and solutions, that clean your fabric couches in a thorough manner. Also, our couch cleaning services do not cause any harm or allergies to your kids and pets in the home. You can also avail our services on the same day booking. Why Choose Master’s Upholstery Cleaning Sunshine? Master Couch Cleaning Sunshine has a complete range of cleaning solutions for your domestic as well as commercial properties. Our service palette includes duct cleaning, rug cleaning, carpet cleaning, mattress cleaning, tile and grout cleaning, end of lease cleaning, bond back cleaning, pet stain removal, odour removal, curtain and blind cleaning, Pet smell couch cleaning and rug laundry in all suburbs of Sunshine.